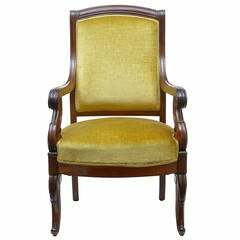 Early 19th century mahogany open armchair upholstered in green leather with brass stud decoration, standing on turned and fluted legs, a generous serpentine shaped seat with carved arms and shaped back, circa 1830. 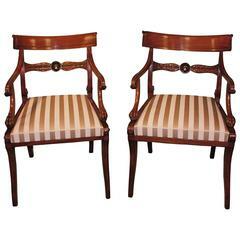 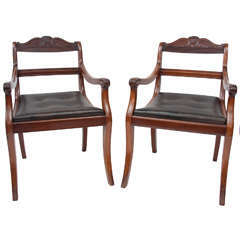 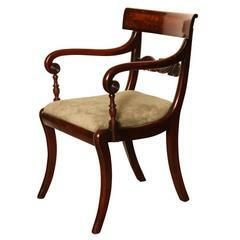 Late 19th century mahogany open armchair on square reeded legs and splayed back legs raised on castors. 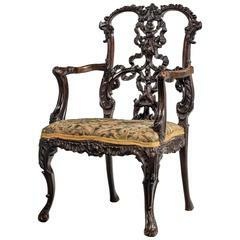 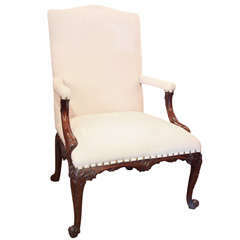 Mahogany armchair, circa 1840 Scrolled arms and legs. 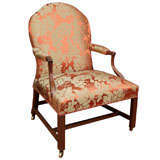 Measures: Height 37 1/2" width 22 3/4" depth 24".